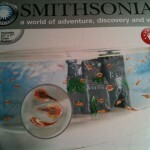 It is time for our first fun science experiment of the year… We picked up a kit to hatch and grow “prehistoric fish”! It should be interesting to say the least. The fish do not survive long which is both good and bad as we do tend to get attached to our pets regardless of type or size. 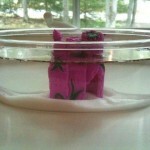 The eggs hatch in 1-2 days, they can reproduce within 3-4 weeks. 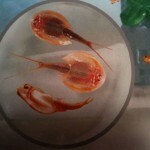 Triops or longtail tadpole shrimp is a freshwater crustacean found in freshwater ponds or pools. It is is considered a living fossil as its morphology has hardly changed for million years, exactly matching their ancient fossils. It is one of the oldest species known. 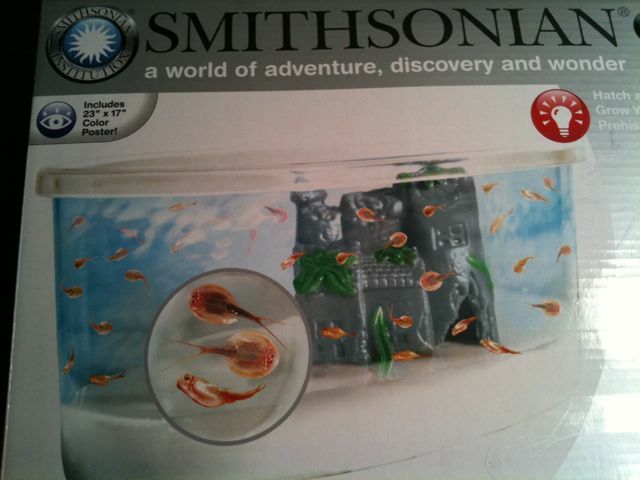 The Smithsonian kit comes with container, castle, sand, food pellets and Triops eggs. We had fun assembling it with another family and the great fish tadpole watch has started… We anticipate viewing the first swimmers in 2 days.